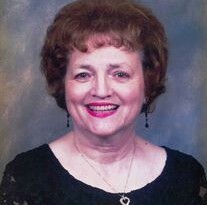 HOGAN, Patricia Sue 2/6/42 – 9/22/15 Attended North Dallas High /UT Arlington. Worked for Braniff Airlines 1968-1989. Flew MAC flights from VietNam to U.S. Worked as waitress in private suites for Cowboy games. Worked for Northwest Airlines for 1 year. Accepted for flight attendent at American and did domestic routes until retirement in 2005. She survived breast cancer but 5 years later developed ovarian cancer. Pat lived life by Christ’s example and is loved by everyone. Survivors are John /Pam Hogan, Deanna/Don Eakle, Cheryl Hogan, Elizabeth Domine, Jaryd Domine. Pat donated her body to UTSW Medical. Donations can be made to for ovarian cancer research. Memorial Service 10/3 10AM at 1ST Baptist in Farmers Branch Texas. Pat was a wonderful BN hostess and daughter of BN Captain George Hogan who was killed in a DC7 accident in MIA 3/25/1958.